Inteq’s 4-day Business Analyst Boot Camp provides participants with the full range of critical thinking skills, business analysis concepts and hands-on techniques to rapidly capture business requirements and to identify, thoroughly analyze and clearly specify forward facing business and user requirements. 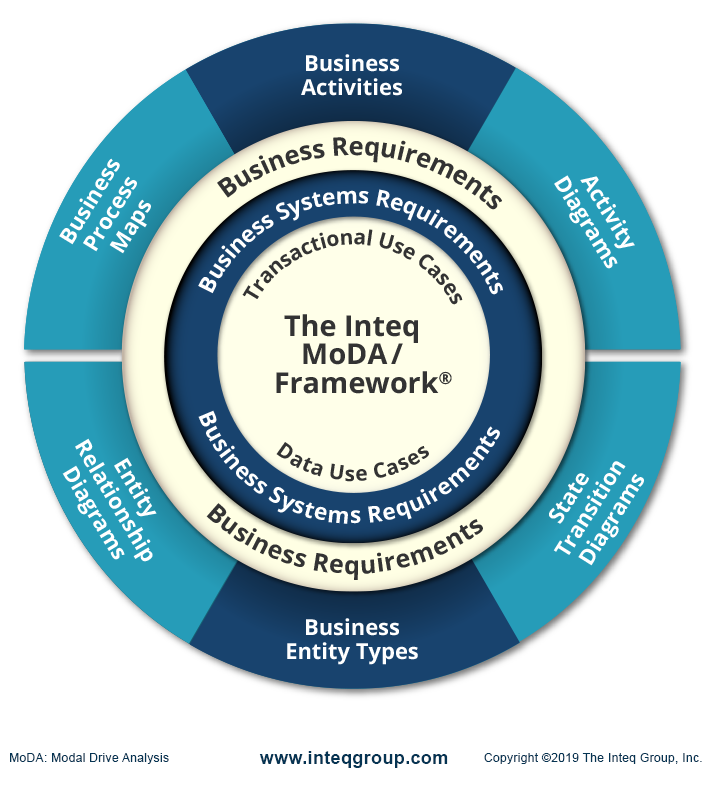 Inteq's Business Analyst Boot Camp is about business and systems requirements - from a business perspective - and is seamlessly integrated and cohesively organized around Inteq's model-driven analysis framework for delivering agility, precision and consistency in business and systems analysis. Until now, text oriented analysis (bullet lists, indented outlines, etc.) 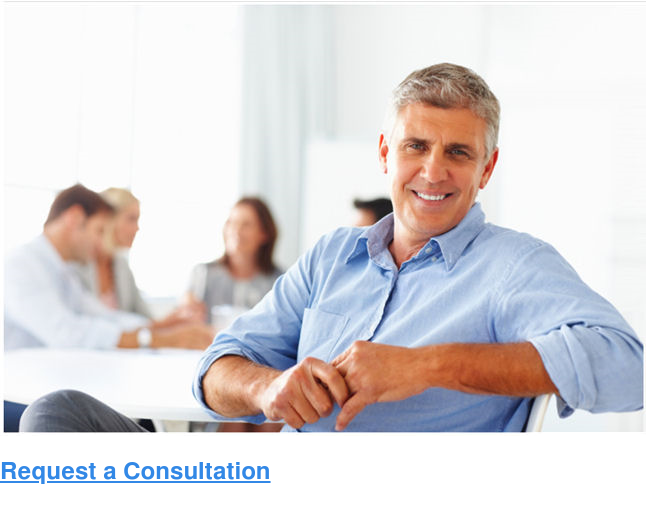 prevailed as the primary technique to identify, analyze and specify business and system requirements. Text oriented analysis, however, is resource intensive. It often lacks standardization, depth and precision. Some organizations have attempted to adapt technical design methods (class diagrams, object interaction diagrams, etc) to business systems analysis. Technical design methods intimidate and alienate the business community. As a result, stakeholders disconnect from the analysis process. These approaches fail to deliver. In today’s fast moving, agile, complex business environment organizations can no longer afford the costly mistakes, operational inefficiencies and lost opportunities that result from superficial analysis and ambiguous requirements. Inteq's Business Analyst Boot Camp transforms business and systems analysts into high-impact professionals; professionals that connect with business end users, uncover and rapidly assimilate deep business knowledge, and critically analyze and transform that knowledge into thorough, precise unambiguous business and user requirements. Our goal is transformational change in how participants approach, think and practice business analysis. This includes a cultural shift from an order taking approach to a professional consultative approach that drives substantial ROI from analysis. Transformative change enables participants to move past the obvious needs, wishes and gripe analysis to a deep forward facing professional analysis based on driving operational efficiency and organizational effectiveness. The knowledge and skills acquired from this course enables participants to standardize, continually refine, and consistently apply and leverage business and analysis best practices across projects across the enterprise. Inteq training is more than education; its transformation - for the participants, project teams and their organizations. That’s why over 300,000 business and systems analysis professionals worldwide choose Inteq's training courses. Who Should Attend? Business and I.T. professionals at every level of experience. This course is designed for Business Process Analysts, Business Analysts, Business Systems Analysts, Project Managers, IT Professionals, Subject Matter Experts, and anyone actively involved in analyzing business processes, discovering business requirements and identifying, analyzing and specifying business and user system requirements. Prerequisites: None. Business Analyst Boot Camp provides a comprehensive, cohesive approach to business and systems analysis, regardless of your background and experience. Learning Method: Traditional live instructor-led physical classroom onsite at your location. Duration: 4 Days, 28 IIBA Professional Development (PD) Hours. 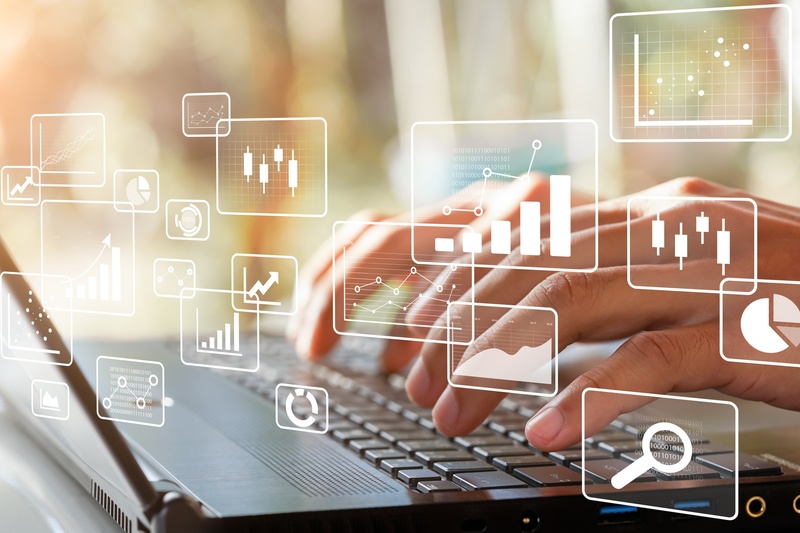 Business Analysis Boot Camp is fully aligned with the BABOK® Version 3.0 Business Analysis Body of Knowledge – including the Agile Extension to BABOK® and are endorsed for CBAP® Certification and CCBA® Certification. Availability: Business Analyst Boot Camp is available onsite worldwide at your location or via open enrollment at scheduled dates and locations. Inteq's Business Analyst Boot Camp is a highly interactive high-energy training program. It’s specifically designed to enable you and your organization to succeed in today's rapidly changing, complex chaotic business environment. *Added bonus: Bring your manager, director, or CIO to the Executive Overview session at no additional charge. 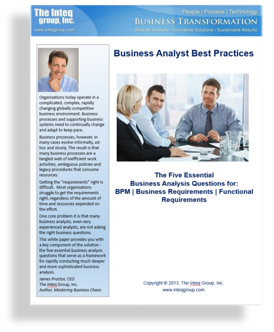 Part 2 builds-on and extents the business and user requirements identified and analyzed in Part 1. Inteq's BA Boot Camp training course is available at your location via private Onsite Training for groups of 10 or more, or via our Live Virtual classroom. Click below to schedule a private Onsite Training with us or to learn more about our Live Virtual training options.